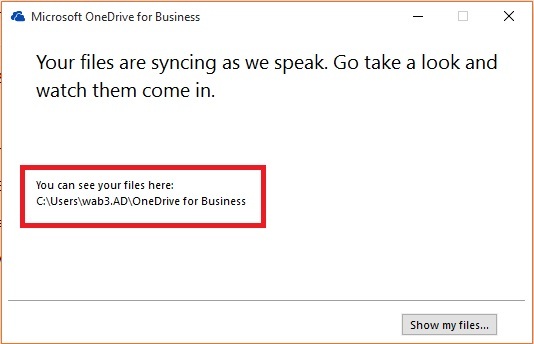 The OneDrive for Business Client for Windows enables you to synchronize your computer files with Lehigh OneDrive. The connection can be created using the OneDrive Web Interface. or click on this link:OneDrive. 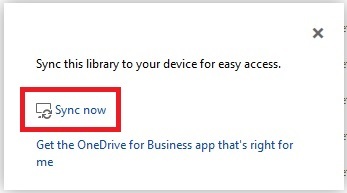 In the OneDrive Web Interface, click on the "Sync" button. Click on "Sync Now" in the following dialog box. 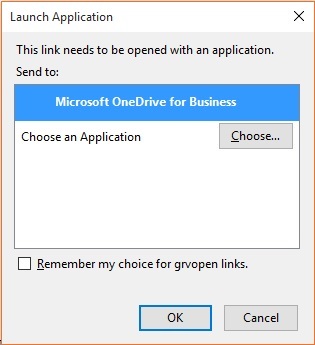 Confirm that you want to launch the "Microsoft OneDrive for Business" application. Click OK.
You will see the location of your OneDrive folder. 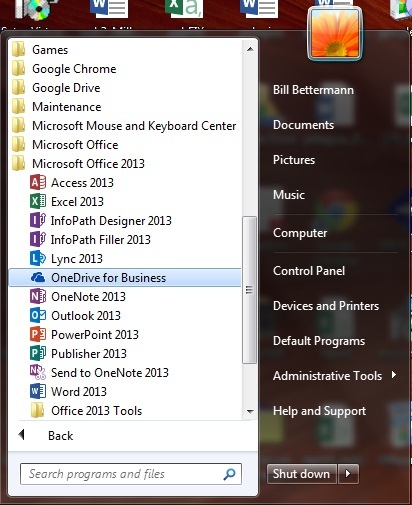 At the conclusion of the installation, you will find that the OneDrive for Business connection can be accessed in the Office 2013 application suite in the All Programs menu.